With the Caribbean serving as the Silk Road between the drug suppliers in Colombia and the drug markets in the United States and countries beyond, it seems that sailing boats, found by the hundreds across the Caribbean, are being used as drug transport vehicles. 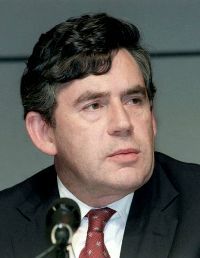 Gordon Brown has been crowned as the successor to Tony Blair who is hoping for a lucrative new career as a ‘special envoy’ to the Middle East, one of the least obvious candidates for the job given his reputation as George Bush’s poodle. Gordon Brown facing testing times. His first task is to try to convince the British people that he had nothing to do with the Blair/Brown regime and is a completely new politician untainted by ten years of national socialist excess. A difficult trick to pull off!! – given that his finger prints are all over every act of this discredited regime. At the same time he has to face the fact that his meddling with Constitutional matters has resulted in a Scottish Parliament with its own First Minister. Gordon Brown, as a Scottish MP, is now tasked with leading a Parliament that will be setting English policy, supported by a Cabinet made up largely by Scottish MPs. This means that he will be attempting to impose conditions on the English that he would vote against for Scotland. As Tony Blair has resigned also as an MP his English constituency is no vacant and there will be a by election for a new English MP. Looks Brown has missed the opportunity to resign his Scottish seat and stand for the safe English seat. Brown’s first days officially in control have been chequered. Having claimed that his coronation means the end of spin and national socialist deceit have been wrecked by his bungled attempt to persuade the Liberal Democrats to become his stooges. Then he staged a typical Blair/Stalin stunt with the defection of a Conservative MP to his Party, only for it to transpire that Dave Cameron had been trying to dump the MP for months, and MP who has consistently voted against Blair/Brown regime legislation and policies, being a paid up member of Old Tory. The International Maritime Organization is responsible for safety and pollution issues relating to the merchant fleets that ply the world’s seas. It has become increasingly involved in efforts to deal with growing threats of piracy that in some waters particularly apply to vessels carrying much needed humanitarian aid to poorer countries. 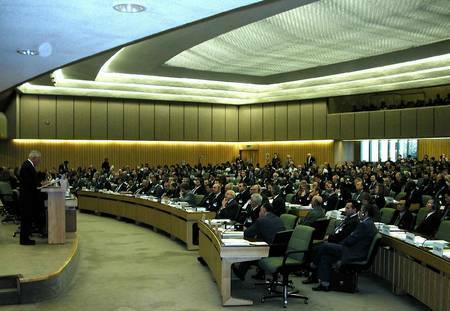 The IMO Council, meeting for its 98th session in London, has agreed further action to address the continuing incidence of acts of piracy and armed robbery against ships sailing in waters off the coast of Somalia and, in particular, ships carrying humanitarian aid to the country. More goods are transported by sea than by any other method. Small trading vessels are easy to attack, but even large container and bulk cargo vessels are vulnerable as automation reduces crew sizes and cargo values increase. The full scale of the risk of piracy is unknown because the loss of some vessels without trace may be a result of piracy, or some other maritime disaster. The problem is much larger and more widespread than many realize. 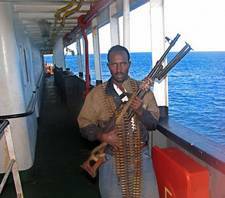 Easy access to modern weapons and fast boats has helped to make piracy a popular profession in African waters. The East Coast of Africa has become one of the piracy ‘hot spots’. UN aid is a major target, but cruise liners have had to fight off pirates who not only operate close to shore in small craft, but also operate further out with a mother ship carrying smaller raiding craft. Long coastlines and heavy merchant shipping activity, infrequent naval patrols and infrequent air patrols combine to make the Seas of East Asian an ideal place for piracy. In the Seas of East Asia, piracy has become a significant problem. 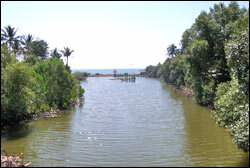 Many of the smaller vessels that are attacked are not recorded as victims of piracy. Yachts sailing in these waters are often attacked and there have been cases where the yacht is missing, only to be identified years later when it has been sold several times and sailed under different names. 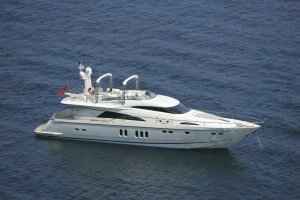 Luxury motor yachts make attractive targets. Some are stolen to provide new vessels for the illegal drug trade. Although piracy is most visible in the Indian Ocean and the Pacific it has long been a problem in the Caribbean and along the coasts of South America where the targets are most frequently yachts rather than merchant vessels, some yachts being taken specifically to be used by drug runners. 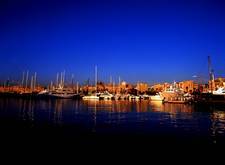 The wealth presented by yachting marinas and harbours around Europe has led to increasing levels of marine crime. Generally non-violent theft, it is still a form of piracy. Less common but still a problem are attacks in Northern European waters and in the Mediterranean. If piracy is regarded as any form of maritime theft and/or violence, the high rate of crime in some marinas and coastal waters make Europe a major piracy zone. 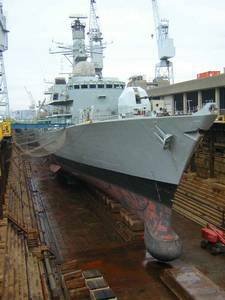 The Royal Navy, once active in providing anti-piracy patrols in the world’s shipping lanes, has been a sad loss for maritime security, as a lack of fuel, spares and ships has removed the White Ensign from many of the most vulnerable waters during the last decade. As the problem has increased, calls for action have also increased. The solution will be for navies and maritime police to co-operate and co-ordinate more effectively, increasing patrols in the most affected areas. Warships on patrol are a deterrent and a method of dealing with incidents, but they have to be backed by improved intelligence gathering and effective judicial action when pirates are arrested and tried. If proof of the irrelevance of the European Parliament was ever needed, this week provides it. For the Parliament had been sent away to its distant home in Strasbourg while all the action was at the Summit meeting of heads of state in Brussels. The Summit has been discussed in every newspaper and media outlet. Essentially, Blair claims that a UK referendum is not necessary because he has successfully defended his ‘red lines’. However all the political leaders in Germany, France, Spain and Italy are rejoicing that all the important features of the 2004 Constitution have been preserved intact. The agreed ‘Mandate’ or debating framework for the creation of the new European Constitution (renamed ‘reform treaty’) implies a massive shift in power from nation states to the EU. It is just that the words have been made more obscure. 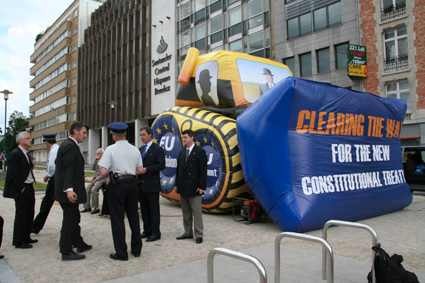 Members may well have seen comments about our Independence and Democracy Group protest on 21 June, in which we positioned a large inflatable bulldozer next to the security zone bearing the words “Clearing the way for the European Constitution”. 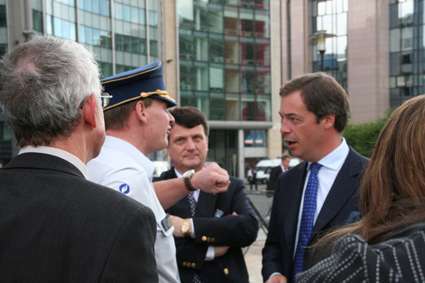 However the authorities seemed to disapprove and, within half an hour, large numbers of Belgian police arrived, confiscating the vehicle and threatening to arrest MEPs Farage, Batten, Clark and Whittaker, and others. Ironically, the site we chose for our bulldozer was in the ‘Zone of Free Expression’, that is, as long as you freely express support for the EU project. The UKIP press team stayed up all night to ensure we had on the spot response. This meant that Nigel Farage was able to brief the journalists who were there and to appear on Sky, BBC World and BBC Breakfast as the ink was drying on the EU Mandate. Back in Strasbourg, our MEPs were doing their usual stuff as the Parliament ground out more and more laws without the glare of publicity. Jeffrey Titford explained the EU’s flawed view of the meaning of ‘competition’:. “It has always been my contention that, far from encouraging competition, the EU in its drive for the mythical ‘level playing field’ wants to stamp it out altogether. This report does little to change that perception. Paragraph 13 [of this report] supports a common consolidated corporate tax base, which is another step towards a compulsory EU-wide corporation tax, which is fundamentally anti-competitive. This idea is enthusiastically supported by France and Germany, two countries with higher corporate tax rates, which must be salivating at the idea of getting everybody else’s rates up to their level. One of the most stupid pieces of EU jargon that I have ever heard is ‘unfair tax competition’, which is what this clause is all about. There is nothing unfair about some Member States having more business-friendly taxation regimes than others. This encourages competition. State aid gets a bashing in this report, as you would expect, but the report makes the false assumption that all state aid is bad. In Britain, because of EU state aid restrictions, we are rapidly losing the Royal Mail postal service, to the detriment of consumers, particularly in remote areas”. Of course, this speech was made before the French removed the words “free and undistorted” competition from the preamble of the Treaty – effectively negating the point of the Common Market. Next was Godfrey Bloom explaining how the EU thinks it can regulate to remove risk and treats every problem as a way of accruing more power. Mr President, nobody comes out of this with any great honour, do they? But of course we are dealing yet again with the abandonment of the concept of caveat emptor. As a financial economist, I knew that Equitable Life was unsound in the middle of the 1990s, but it marketed its plans direct to the public with the sales line ‘there are no middle men’. Well, the middle men were the professionals, but the something-for-nothing culture came to the fore yet again. What about the elephant in the room, the National Provident Institution? Same sort of problem, but they did not have the same number of lawyers and politicians who made up their client bank. So are we talking about a common regulatory policy like the common agricultural policy, or the common fisheries policy? Why do they not adopt our audit and accounting systems here? God help us! Taxpayers’ money for failed investment? This is a very slippery slope, ladies and gentlemen. Marconi shares? Institutional pension funds? Where does it end? Sometimes investments go wrong, and that’s life. It is sad, but we have to put up with it. Gerard Batten used his 60 seconds to highlight the case of a Italian who was given sanctuary in Britain but is now languishing in an Italian gaol. Mr Mariotti was granted sanctuary in England in 1998 after being accused of crimes allegedly committed in Italy more than 30 years previously. The hearsay evidence presented against him would never have been allowed in an English court, let alone result in conviction and a prison sentence. Despite the support of many people and sections of the British media, he was recently deported to Italy by means of a European arrest warrant. He now languishes in a remote prison facing a 26-year prison sentence. Mr Mariotti is an Italian, but the same rules apply for British citizens. The European arrest warrant means that our traditional safeguards against arbitrary arrest and extradition have been circumvented. People can now be transported to foreign courts with as much ceremony as posting a parcel. I shall list the points that matter and present them as a rhyme. Present a half a trillion bill to all the EU nations. This favours larger companies and hurts the SMEs. It is directives just like this one that will bring them to their knees. Was centralised policing of the public procurement theme. Persuade her to keep digging when already in a hole. I will eat my hat, and coat as well, with or without sauce. The extraordinary and protracted period of limbo is coming to an end as Gordon Brown has his first coronation as Leader of the Labour Party but he still has several more days in waiting before he can be crowned as Scottish Prime Minister – non elect. It is easy to believe that the real reason for the painfully slow hand-over process has been designed to allow Tony Blair to sell his country for the title of President of the United States of Europe – but has he grovelled enough and given enough away to secure the post? Has he been out-Granita’d by the President of France? When Old Nick smuggled that little clause into the European Constitution (ooohps the Treaty of somewhere or other) that cancelled the European Community Free Market, Tony was so dazzled by the prospect of escaping the War Crimes Tribunal and becoming El Presidente of Europe he didnt notice the clause and would have signed that away as well if some Civil Servant in London not noticed and told Gordon. Gordon Brown has been trying to present himself as a newly elected Prime Minister about to replace another political party, when in reality he has been domestic Prime Minister for ten years and responsible for all the failures he is now trying to blame on a previous ‘administration’. Well, the Mosleyite national socialist wing of the Labour Party is hoping to move on to take over the United States of Europe, leaving the Stalinist national socialist wing to take responsibility for forthcoming failures in Britain. Four MEPs were threatened with arrest today after Belgian police objected to a peaceful protest outside the European Union summit. Divisional Commander Pierre Vandernissen said he was “acting on instructions from a higher authority” when he confiscated an inflatable bulldozer and threatened to arrest MEPs Nigel Farage, John Whittaker, Derek Clark and Gerard Batten. When questioned why he was doing it, he answered “because I have the power” and refused to say whether or not it was politically motivated. “I don’t have to answer you” he said. Part of the discussions over the new EU Treaty is the plan to decide Justice and Home Affairs by Qualified Majority Voting and remove the veto which Britain currently has. 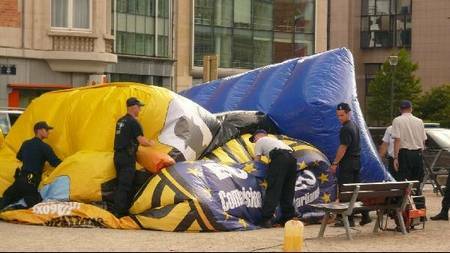 The inflatable bulldozer was part of an 11,000 euro display by the Independence and Democracy group attacking EU politicians for their secrecy over the treaty. On it was written, ‘Clearing the way for the EU constitution’ and ‘don’t let them bulldoze the treaty through’. Within 20 minutes of the bulldozer being inflated, just yards from the entrance to the European Council on the ‘Zone of Free Expression’, 35 policemen had arrived, switched the generator off and parked their police vans to obscure the view of the world’s TV cameras which had been trained on the spot. The inflatable was confiscated and will not be returned until the end of the summit, if then. The police commander told Mr Farage that “you will go to a cell for 12 hours and then we will sort it out.” He later threatened to arrest everyone in the area, including civil servants and members of the press. “I have seen the future of Europe, and I don’t like it.” said Mr Farage. “It was an outrageous response to what was intended to be a humorous counterpoint to the debate over the future of the continent”. “We have protested all over Europe without a complaint from anybody. This is a deliberate attempt to stifle any objection to the new EU treaty. Nothing highlights the political changes in Britain in 25 years more than the 25th Anniversary of the Liberation of the Falklands. During the celebrations and remembrance, Lady Thatcher was flanked by HRH Prince Charles Prince of Wales, and HRH Prince Andrew Duke of York. Outgoing Prime Minister Tony Blair hovered eagerly on the fringes trying to find a photo opportunity as he tried to act as meeter and greeter. His wife sat looking bored and sour throughout the proceedings. The Prince of Wales, during his RN career, held command at sea but as heir was not permitted to go to war. The Duke of York was permitted to serve during the Falklands Liberation and served with great distinction. As a helicopter pilot, he and his crew flew dangerous missions that included acting as a decoy for missiles aimed at the warships. He was also one pilot who flew into the dense smoke from the burning Sir Galahad to rescue survivors and used his rotor downwash to blow lifeboats ashore. Lady Thatcher was met with great enthusiasm by the many veterans who attended the event in London. Having suffered a number of strokes in recent years, she was frail but determined. Twenty Five years ago her courage and determination was instrumental in achieving liberation for the Falkland Islanders from a vile Argentinian invasion ordered but a revolting military junta to divert public attention in Argentina from the gross abuses of civil liberties by that junta. The junta smugly assumed that they could land a large invasion force unopposed. 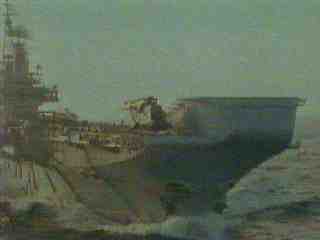 Although vastly outnumbered the tiny Royal Marine garrisons in the Falkland Islands and South Georgia put up a spirited defence and, after repatriation to Britain, immediately volunteered to go back with the Task Force. Typical of the mistreatment of islanders, a community was crammed into a meeting hall at Goose Green with inadequate food, sanitation or medical facilities until liberated by 2 Para. Goose Green Settlement, the final objective of the 2nd Battalion Parachute Regiment. This was where the local population were held prisoner during the 1982 Falklands War. The Parachute Regiment liberated the local population after fighting in the most gruelling and brutal battle since the Second World War. The population were secured in the School House. The town was secured by B Company, led by Major John Crosland who famously wore a black knitted hat throughout the battle. The Falklands Conflict, 2 April to 14 June 1982, followed the invasion of the Falkland Islands by Argentina on 2 April 1982. It was a unique period in the history of Britain and Argentina and, although war was never formally declared, the brief conflict saw nearly 1,000 lives lost on both sides and many more wounded. The islanders also showed British grit in a campaign of civil disobedience against the invaders and were treated badly by the ill-disciplined Argentine conscripts who were in turn also poorly treated by their own officers. Lady Thatcher ordered the formation of a Task Force to liberate the islands. This collection of warships and merchant vessels was hastily assembled and sent south to Ascension Island for final storing and checks. The fleet then sailed down through the South Atlantic into the teeth of the early winter storms that rage in those waters. South Georgia was liberated first, before the Fleet turned for its main target of the Falklands Islands. Not only were the ships of the Task Force operating 8000 miles from home with no close safe haven, but a primarily anti-submarine RN was having to prepared for an anti-air war and a potentially opposed beach landing. The Task Force fought with considerable bravery and professionalism and won a battle that theoretically could not be won, demonstrating that a military force can triumph through will when their fight is just. A lack of helicopters, lost when the Atlantic Conveyor was sunk, meant that the troops had to carry their ammunition and supplies in a forced march across difficult terrain in the unpleasant weather of approaching Falklands winter. To the tales of bravery on the part of the soldiers, sailors and airmen of the Task Force is added the bravery of Islanders in aiding the troops. A convoy of tractors, trailers and Land Rovers was assembled by the islanders to carry supplies for the troops into the battles. Travelling at night and unable to use lights, the convoy was led by a young woman walking ahead of the lead vehicle, wearing white gloves to indicate the route and armed only with a morphine syringe to use in the event that she stepped on a land mine. Lady Thatcher worked well with two US Presidents in a relationship that was good for Britain and good for the US. That meant lively debate in private and unity in public. During her Premiership, Lady Thatcher was to fight three wars. She inherited the war against Irish terrorism, surviving the bombing of her hotel during a Party Conference when terrorists tried to wipe out the Government. She managed to bring that fight to the stage where political solution was possible, winning the military and intelligence battle without attacking the civil liberties of British citizens. She rose to the defence of the Falklands against a vile aggressor and secured the support of the US President that made it possible to obtain supplies of the new AIM9L missile for the Task Force VSTOL Sea Harriers. She then faced a third threat when Iraq invaded Kuwait and she worked with US President Reagan to assemble a true multi-national force to liberate Kuwait from another vile dictator. In facing these military trials, Lady Thatcher always put the troops first and did everything possible to ensure that they had the arms and supplies to do their work as liberators against aggressors. As a Prime Minister she was not afraid to take hard decisions but as a mother she felt for the safety of the young men and women who were executing those decisions. In her dealings with the US President, she achieved public unity but managed to achieve frank debate in private, never pulling her punches. In contrast, Tony Blair has managed to take Britain to war without bothering to ensure that the troops received the arms and supplies they required. He has blindly followed a US President, serving Britain badly, but also serving America badly. The Anglo/US Special Relationship is only special and productive for both countries when the British Prime Minister is prepared to be constructively critical in private discussions and united in public. Winston Churchill managed during the 1939-45 War, Macmillan managed with Kennedy, and Margaret Thatcher managed that during her premiership. A great pity for the world that Tony Blair was not equal to the task. Of special and enduring shame was the invasion of Iraq which was not only aggression against a sovereign power that presented no direct and immediate threat, but drew focus away from other more pressing matters, such as completing the liberation of Afghanistan and supporting the people there to build a peaceful and free community. In the fight against terrorism, Blair has managed to both increase the threat to Britain and attack the civil liberties of all Britons. The main publishing period for titles related to the Falklands Liberation was timed for the 21st anniversary but many of these books are still in print or fairly easy to acquire ad used books. Goose Green Settlement, the final objective of the 2nd Battalion Parachute Regiment. 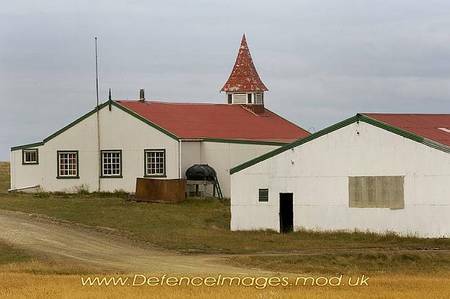 This was where the local population were held prisoner during the 1982 Falklands War. The Parachute Regiment liberated the local population after fighting in the most gruelling and brutal battle since the Second World War. The population were secured in the School House. The town was secured by B Company, led by Major John Crosland who famously wore a black knitted hat throughout the battle. The Falklands Conflict, 2 April to 14 June 1982, followed the invasion of the Falkland Islands by Argentina on 2 April 1982. It was a unique period in the history of Britain and Argentina and, although war was never formally declared, the brief conflict saw nearly 1,000 lives lost on both sides and many more wounded. 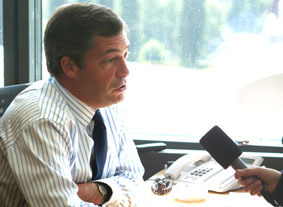 With the Brussels’ Summit coming up, Nigel Farage is on a whirlwind tour of broadcast outlets this Sunday 17th June. 5) Worricker on Sunday, as a guest on the Julian Worricker Show on Radio 5 Live at 12.10pm.This programme is found on 909 & 693 mw.(Radio). David Campbell Bannerman will be appearing on the Politics Show South East at 12pm on BBC One on Sunday 17th June. Tony Blair prepares for his new career, making a shed load of money from his memoirs and public speaking. His extended and costly holiday at British taxpayers’ expense has been devoted to polishing the marketing of the ‘Blair product’ to maximize income. In one final act of betrayal, he prepares to sign away Britain’s last shreds of sovereignty as his parting shot at a country and people he has despised and exploited. “As the end of Tony Blair’s ten year reign as prime minister draws to a close there is one last significant act that he will perform. On Friday, June 22nd in Brussels there is the concluding Euro summit of Angela Merkel’s presidency of the EU. Mr. Blair will sign up to a new draft European Treaty and then, within days, leave office. For a prime minister who has been very powerful the one area of policy in which his will has never prevailed is that of our relations with the EU. If there is one thing that Mr. Blair really believes in it is the European Union, I saw this at first hand during his EU presidency in 2005. Yet he failed to take us into the Euro and cannot ratify the EU constitution because pressure, of which UKIP were part, forced him into offering a referendum. As he knew he would lose both of these, we were never asked and we still have our currency. 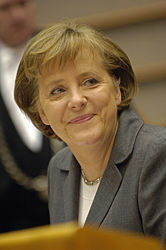 Despite these previous failures he took over the EU presidency in July 2005, brimful with optimism. 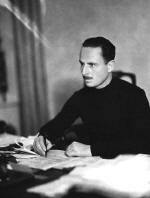 He was going to save ‘Europe’ and modernize it. But many will remember that it ended in humiliation with a surrender of our rebate and a crowing President Chirac. At the last meeting I said to Blair that Chirac had ‘outclassed him and out played him at every turn’. He went crimson, waved his arms around and shouted at me. This time he will want a ‘success’ and will want to leave office being seen a ‘good European’. But what of the content of this new Treaty? It is truly remarkable that, with just days to go, no one has seen any of the plans and there is no informed debate. All negotiations are in secret and the UK Parliament will have no opportunity to discuss content. This is being done because the last time there was public debate the French and Dutch voted NO! It is also extraordinary that our Foreign Secretary, Margaret Beckett, appears to hardly be involved at all. It is as if a retiring dictator intents to leave an indelible print on our future. Our views do not matter. What we do know is that there will be agreement on a full time President of the EU Council. It will be someone with real power. Mr. Blair himself will be a prime candidate for this role, especially if he shows at the summit how compliant he is. There will also be a greatly enhanced role for Javier Solana as an EU Foreign Minister and yet more of what is left of our self-government will be transferred. Quite how much of our veto rights over Justice and Home Affairs will be relinquished we will find out on the day. In essence this EU Treaty will contain the provisions of the failed constitution but drop the C-word itself. It is all an exercise in deceit and, even by EU standards, contemptuous of democracy. This must be fought and UKIP will! The UKIP MEPs and press officers will be at the summit in force and we have prepared a visual demonstration that explains our feelings on this process. Already we are contacting all of the media, both nationally and locally, so that we can present the real voice of opposition. Mr. Cameron may talk about a referendum, but we do not know which way he would vote! We will continue to press for a referendum on this Treaty, though we will not forget there are bigger issues at stake. Even without this Treaty 75% of our laws are now made in Brussels and the whole process of EU integration moves forward every day. The referendum UKIP really want is a full, free and fair vote on whether we stay in a political union or regain our independence and pride. The EU question has been off the agenda for some time. Mr. Blair is about to change that. One day we may even thank him for that. How can you help put pressure on Mr. Blair before he signs this treaty on your behalf? You should write to national and local newspapers and ring local radio stations. This way you can try and show the Prime Minister what the public feeling really is. Commentators and critics have been talking of Blair’s farewell signing of a very secret and sinister EU Treaty as an act of betrayal or as part of his efforts to prepare for his forthcoming book launch and speaking tour. This has overlooked the strong possibility that Blair is still hoping to become the first President of the United States of Europe. The price of success could be a clear demonstration that he will be a totally compliant President following the wishes of the Franco German political elite who have dedicated fifty years to moving the nations of Europe into an anti-American power block. Has Blair’s towering ego blinded him? Through his ten years as elected dictator, he has demonstrated his belief that he could lead Europe in a national socialist ‘modernization’ but at each step he has been out-fought and humiliated by the Franco German political elite. His only chance of becoming Fuehrer may depend on giving a convincing demonstration that he is anyone’s poodle for a price.